Create your free account and find out if you're in our delivery or shipping areas. Your order will be delivered to your doorstep on your scheduled delivery day. You don't even have to be home. Look for our white refrigerated van or white refrigerated pick up truck when expecting delivery. You don`t even have to be home, just leave a cooler outside on your doorstep with ice packs and we will do the rest. Just make sure when you choose the payment option of leaving a check with your cooler, have it ready inside your cooler. Or you can always opt to pay online with credit card once the order is packed. For regional Home Delivery, we charge a flat fee of $10 per delivery. We cold ship all of our products in insulated cooler boxes with ice packs. Please make sure that someone is home the day that delivery is made. Not that you have to be home at time of delivery, just at some point that day to move your order inside. We will email you with the tracking information upon shipment. 1-2 Day: For ground shipments within 1 - 2 Day Home Delivery zone, we charge 1.25/lb. plus a cold handling fee of $9 per order. 3-Day: For ground shipments within 3 Day Home Delivery zone, we charge 1.35/lb plus a cold handling fee of $22.50 per order. 3-Day Select: For ground shipments requiring 3-Day select Home Delivery, we charge 1.50/lb plus a cold handling fee of $55.00. This applies to your area if it will take more than 3 business days to deliver your order via UPS ground. Once you create an account with your zip code, it will automatically detect what zone you are in. We currently do ship to the 48 contiguous states via UPS. Should you have any questions regarding shipping zones or fees, please do not hesitate to contact us by email or by phone. When you create an account with us you will be asked to enter your zip code. 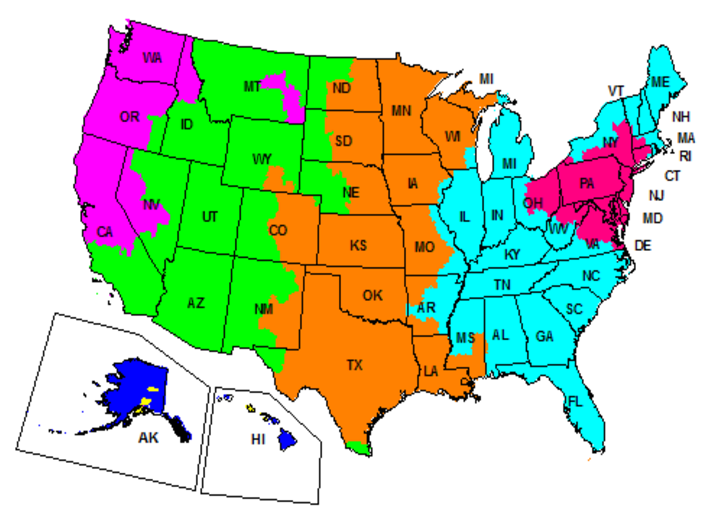 This allows you to determine whether you are within our home delivery zone. It will also show you our pickup locations if you are close enough. I am outside your local delivery area, can I still order? Do you ship? Yes! If you are outside of our delivery zone or pickup areas, you will still be able to select “Home Delivery” as your option. You will automatically be signed in to receive Fedex/UPS shipping We monitor our new customer signups closely and if we see that your zip code is close enough to our delivery zones, we will contact you to set up home delivery with our own refrigerated truck. Do you charge delivery fees? We charge a flat rate of $10 for home deliveries within our current home delivery zones. For UPS 1-2 day cold shipping we charge a flat rate of $9.00 plus 1.25 per .lb to help cover the cost of cold shipping. For UPS 3 Day ground or UPS 3 Day Select, charges will vary. See more info above. Do I need to be at home for delivery? No, but please make sure you leave a cooler with ice packs outside your front door and we will take care of the rest. If there is no cooler and you are not at home, we will leave one of our insulated cooler boxes with your order inside and charge $9 for the cost of the box. You can then keep the box or you can return it the next delivery and we will fully credit you if the box is still in good condition. How do you package a product when shipping? For UPS Home Delivery we use two-inch insulated boxes with ice blankets to keep products cold for up to 3 days. Our packages are handled with extreme care by the DM team. Since we must use UPS Shipping to offer the convenience of Home Delivery, there is a certain point where the handling is simply out of our control and in the hands of UPS personnel. This means there’s a chance there may be the occasional product damage i.e. broken egg. We apologize in advance for any inconvenience that the handling incident may cause and assure you that we will always take the necessary steps to immediately provide a full refund for the affected product. On my delivery day, is there a certain time of day when I can expect the order? It is difficult for us to guarantee a certain time of day as the number of stops per delivery route varies. Remember though that you don't need to be home to receive the delivery as long as you have your coolers ready for the delivery driver. We take care of the rest. To discuss special circumstances, please contact us! How will I know my final amount to pay for the order? Make sure to check your emails regularly prior to your delivery day. You will receive an email that your order is packed with the final total and delivery details. This amount will be what gets charged to your credit card on file. 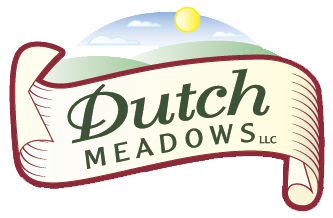 If you are paying by check at time of delivery, simply write this amount on your check made payable to “Dutch Meadows.” You can leave the check inside your cooler if you are not going to be home. If you do not get the “Order Packed” email by 8 AM on the morning of your delivery day, please contact us immediately. Absolutely! But remember to have it finalized before the order deadline because after that you will no longer be able to change your order as our team will already have packed it up for you. If there is a need after the deadline, you may call or email us for changes and we will do our best to accommodate you. Your card will NOT be charged WHEN YOU PLACE YOUR ORDER. Since the final cost is occasionally dependent upon the weight of the items ordered, we can't charge your card until we process your order, which will happen 1-3 days before your delivery date. We kindly ask that you keep this process in mind when placing your order and make sure there are sufficient funds for the card to be charged at the proper time. Thank you! Are your meats 100% grass fed? Our beef, lamb, and bison are 100% grass fed and raised on a zero-grain diet. Our additional meat products, which include pork, chicken, duck, rabbit, and turkey, are pasture raised and receive additional organic feed (also non-gmo and soy free) to complete their diet both during the grazing season and into winter months. Are all your dairy products raw? With the exception of our yogurt, our milk products do not receive pasteurization, the method of heating milk to a particular temperature for a set amount of time in order to remove microorganisms. All milk products are crafted using raw milk from Dutch Belt Cows that are 100% grass fed and organic. Why does raw dairy say not for human/pet consumption? The Pennsylvania Department of Agriculture permits the production and sale of raw milk through approved commercial laboratories and milk facilities if those facilities perform tests required by current regulations. 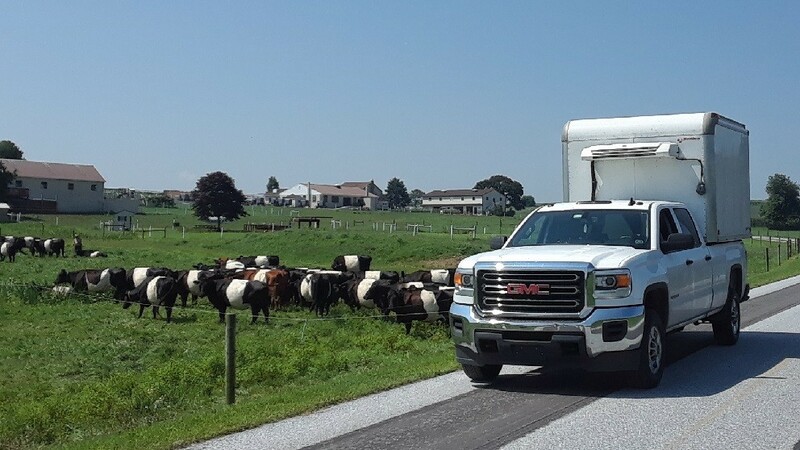 Based on the PDA’s regulatory compliance, Dutch Meadows is a fully state inspected and licensed milk facility and permitted to sell raw dairy. However, the PDA does NOT permit interstate sale of raw milk, and they do NOT permit in-state sale of any raw milk products (i.e. cheese), and the USFDA (United States Food & Drug Administration) does NOT recognize raw dairy products as safe. For these reasons, we must label the product accordingly. Label or no label, Dutch Meadows does and will always take the necessary steps to educate and inform our customers, and operate with absolute transparency and the highest sanitary standards. You can read on to learn more about raw dairy. Ultimately, the choice to purchase and consume is yours. There are a lot of resources supporting (and not supporting) raw milk production/consumption and we encourage our customers to do as much research as they see fit before purchasing raw dairy with Dutch Meadows, especially contacting our team to learn more. This article, which we co-wrote with Sally Fallon, the president of the Weston A Price Foundation, is a great starting point for your research, and explains how “health hazards of raw milk are minimal, especially when produced under clean and careful conditions.” Since DM uses natural, organic, and sanitary practices in raising the cows, the risks warned against by pro-pasteurization groups and organizations, are not relevant. If you decide to purchase and consume raw dairy, we can guarantee all of DM’s raw dairy products have 100% compliance with raw milk regulations that exist at any given time.